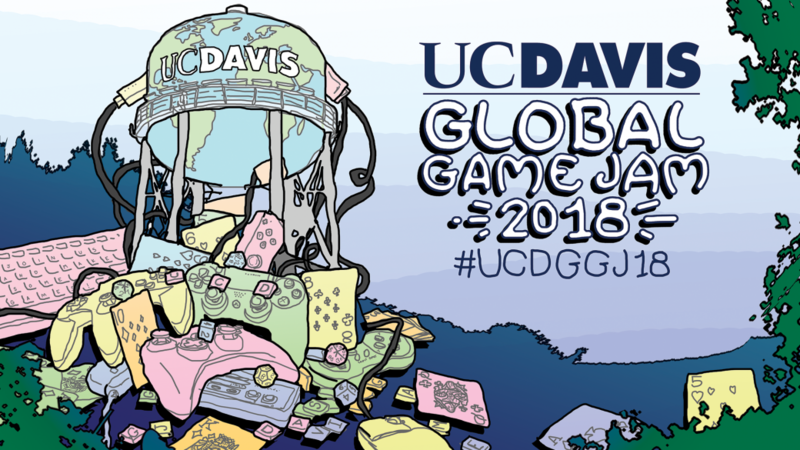 The UC Davis Global Game Jam 2018 is coming up on Friday, January 26 to Sunday, January 28 at the Art Annex and you’re invited! The Global Game Jam is the world’s largest game jam event that takes place globally over the span of a weekend. A game jam can be thought of as a hackathon, but for the creation of small games! You can work in teams or on your own to create any game your heart desires, whether it be an analog tabletop game or a digital videogame, BUT your creation must be based on the SECRET theme that will be announced just before the jam begins. So join us for a weekend of fun, creativity, and games at UC Davis as we take on #UCDGGJ18 together!